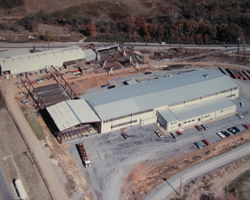 Launched in 1977, by Frank B. Wylie and Bob Grace, our history begins in the scenic Highland Rim region of Middle Tennessee with a 10,000 square foot shop and four employees. Then known as the Grace and Wylie Corporation, the company's emphasis was quality and service, and it quickly established itself as the most dependable in the area. Capitalizing on the healthcare development boom of the late 70's and 80's, the company outgrew the original shop and added a second production facility in 1986 by purchasing a 55,000 square foot structure from Midwest Iron Works in Denver. The building was dismantled, shipped by rail and erected on the 9 acres adjacent to the original shop as a home for our automated beam and column production lines. Growth continued during the 1990's, enabling the company to increase its workforce and capabilities to perform several high-profile projects in the Nashville area. The list includes the Opryland Delta Atrium, Hospital Corporation of America's flagship Centennial Medical Center, and the National Corvette Museum in neighboring Bowling Green, KY. Our dedication to quality is evidenced by the unique nature of these projects, all of which combine challenging logistics as well as difficult designs. 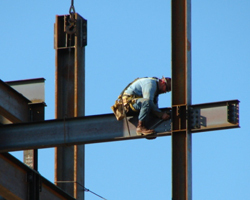 Quoting our company President, "we're only as good as our people," Wylie Steel Fabricators, Inc. recognizes that each project's challenges cannot be overcome without the dedication and hard work of its employees. Quality Steel Delivered on Time.